There are some things we do in life that give us great joy. For me, reading to children is one of those moments. All four of my children were raised with a steady dose of books, not only before bed but throughout the day. Cuddling up on the couch with “Where the Wild Things Are” on a snowy day promises not only adventure and laughter — it introduces the child into a world which they can explore for the rest of their lives. I saw an interview with Sendak where he explained that children are the toughest audience. Adults will work their way through a book, but if a child is not captured immediately, then the book sails across the room and they are on to the next one. These great writers create stories that children understand in simple language with driving rhythms that draw the reader in. Of course, reading is not just the writer interacting with us, but us interacting with the story and writer. We make each story our own. How I read the books differed from how my wife read them to the children. 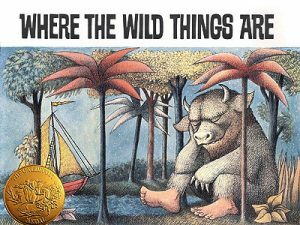 My version of “Where the Wild Things Are” includes a time for children to dance during the “wild rumpus.” In reading these works we create our own private worlds with our children. Maybe that is why I hesitate to see film versions of picture books I love. 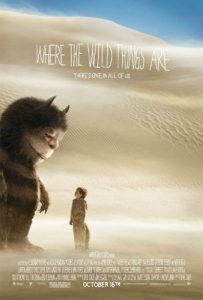 I know, I should encourage you to see the movies we are showing over the next four weeks, and I do, but you won’t find me at “Where the Wild Things Are.” That book lives in a unique way for me and my children and I’m not interested in anything that builds on it. I’ve also never seen “The Polar Express” for the same reason. And, I’m hoping no one attempts a movie version of “Goodnight Moon,” although the author, Margaret Wise Brown, embraced new technologies for her books. But story books often work well in movies. Roald Dahl created unique (and strange) worlds that work visually and he initially supported the creation of a film based on “Charlie and the Chocolate Factory.” It became “Willy Wonka and the Chocolate Factory” (the 2005 remake brought back the original title), and now both the film and the book are “classics.” Stories such as “James and the Giant Peach” and “The Fantastic Mr. Fox” also bring to life Dahl’s developed stories. Dahl writes stories that can scare children, but, somehow, he seems to know how far he can push them. He treats children with respect, which is one reason his stories will continue to resonate with young readers. Rudyard Kipling’s “The Jungle Book” was written for the best reason — it was for his daughter. In 2010, a first-edition of the book was found in his family’s possession with a handwritten note from Kipling. “This book belongs to Josephine Kipling for whom it was written by her father, May 1894.” That daughter passed away a few years after Kipling wrote the note — she was just six years old. There is no doubt those stories always meant something more to Kipling as a parent rather than just as an author. Kipling had more faith in children’s capacity for fear than Walt Disney, who fired the first screenwriters working on adapting the book for the original movie since they stayed too close to Kipling’s “dark” themes. 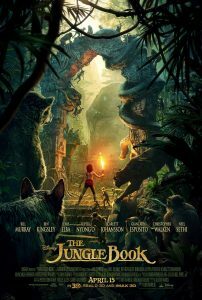 It is likely that most of us know the upbeat Disney film version better than the book, and we are now showing the 2016 version which won the Academy Award for Special Effects for its use of live action/CGI technology. Remakes are not always well received, but this new version was a commercial and critical success. Great stories can come to life in different ways. 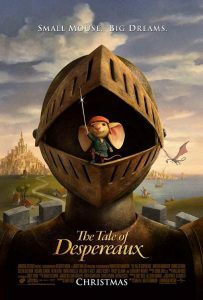 And, we open with the most recently written book in our series, “The Tale of Despereaux” by Kate DiCamillo. 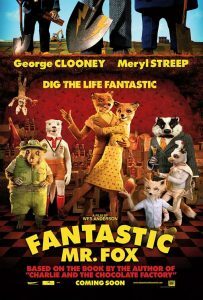 The 2003 novel is already considered a classic and this heartwarming movie will only add to the award-winning book’s reputation. Read the press release or visit our home page for previews and information about the films. So, bring the family, watch some great movies, and then go home and give your child a gift — read them a book.